lt;stronggt;BOSB777RMAGlt;/stronggt;lt;BR/gt;Stanley Bostitch Antimicrobial Full Strip Metal Staplerlt;BR/gt;From its striking silhouette to its infusion of features, the Epic Stapler is a high performance, eye-catching stapler. Its tough structured design is complemented with refined sleek curves. Its high quality solid die cast construction delivers precision performance anf the added rubber cap and base provide a soft grip for enhanced stapling comfort. With its versatile form, the Epic can stand vertically or lay flat to complement any desk. Our innovative No-Jam technology eliminates frustrating staple jams delivering smooth stapling of up to 25 sheets. 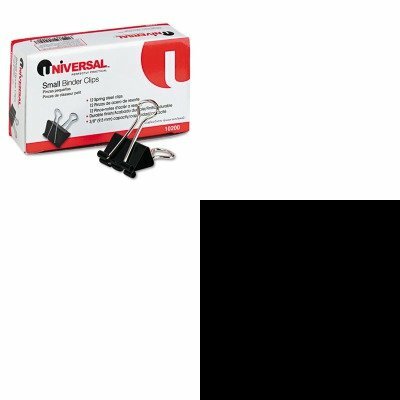 Cleverly, integrated in the base is a StapleStore compartment that holds two strips of staples, keeping extra staples close at hand at all times. Conveniently, the Epic can be effortlessly opened 180 degrees for tacking or craft applications. It is Antimicrobial protected and prepared with a non-skid base for stability and desktop protection. Stapler Type: Full Strip Desktop Staple Capacity: Full Strip 210 Staples Size of Staple Used: 1/4amp;quot; Type of Staple Used: Standard.lt;BR/gt;lt;BR/gt;lt;stronggt;UNV10200lt;/stronggt;lt;BR/gt;Stanley Bostitch Antimicrobial Full Strip Metal Staplerlt;BR/gt;Ultra-efficient binder clips feature handles that can be hung, folded flat against clipped material or removed for permanent binding. Efficient triangular design provides optimum strength and compression. Clip/Clamp Type: Binder Clips Colors: BlackSilver Materials: Plastic ClipSteel Wire.